A humorous one for a Birthday or Mother's Day. 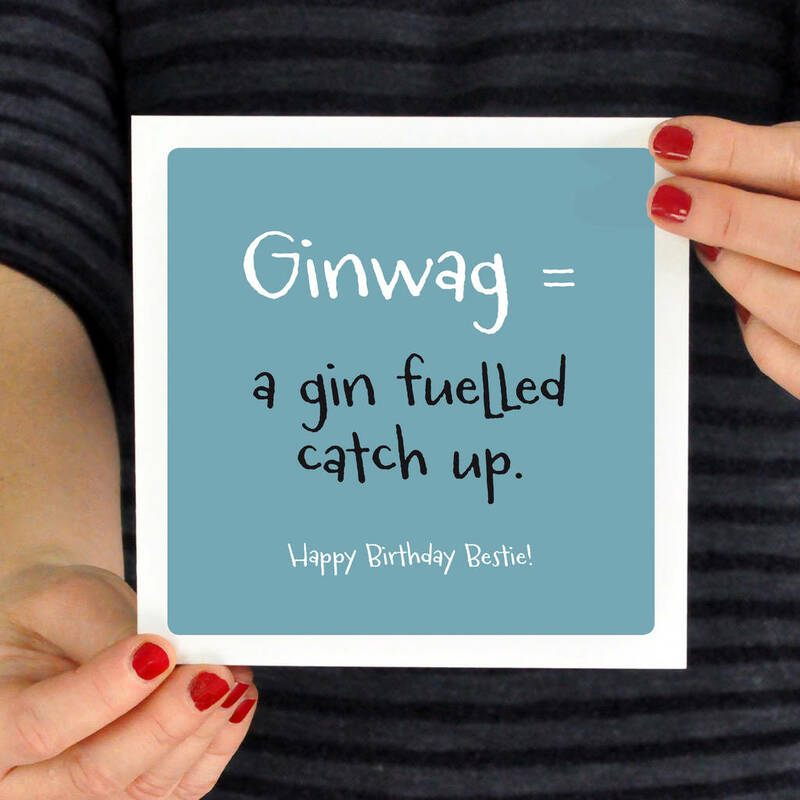 A 'Ginwag' definition card to highlight those gin fuelled gossip sessions. 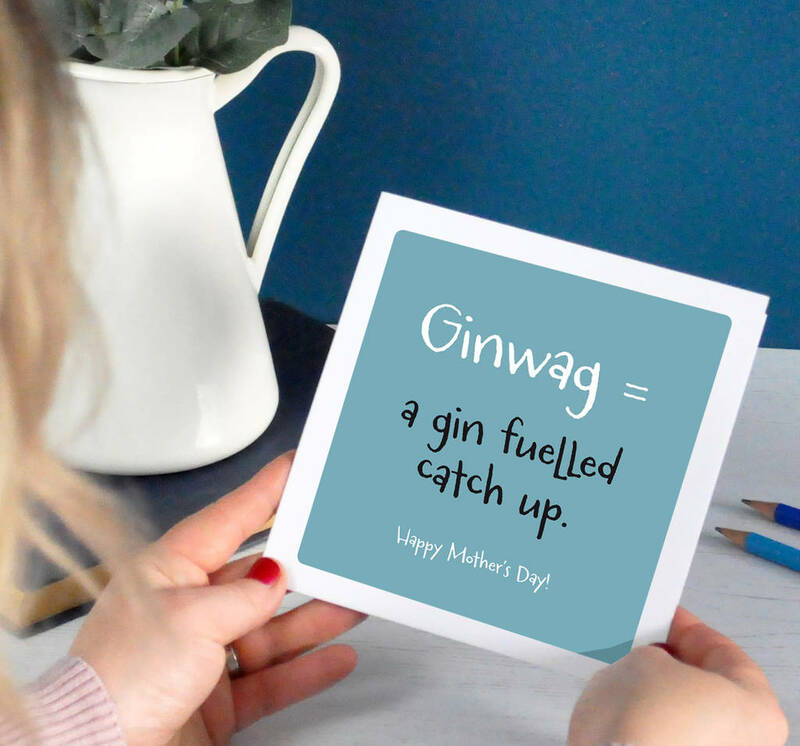 The card is duck egg blue with white and black contrasting text. 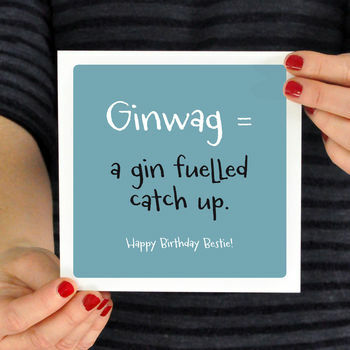 The text reads Ginwag = A gin fuelled catch up. Add your own personalised message at the bottom making it suitable for any occasion. All designs are printed on premium quality 350gsm silk white board with high calibre photographic inks. Envelopes are white, 150 mic thickness.